5/7/14 — SB978 passed out of the House Judiciary committee. Next stop is the House floor for a vote. Supporters filed 122 witness slips. We thank you all! 6/2/14 – A revised, paired down version of SB978 has passed the IL legislature. A press conference touting passage took place at City Hall today. Congratulations on all those who contributed to passing the bill. It’s a modest step but will certainly help some young people. More is needed. 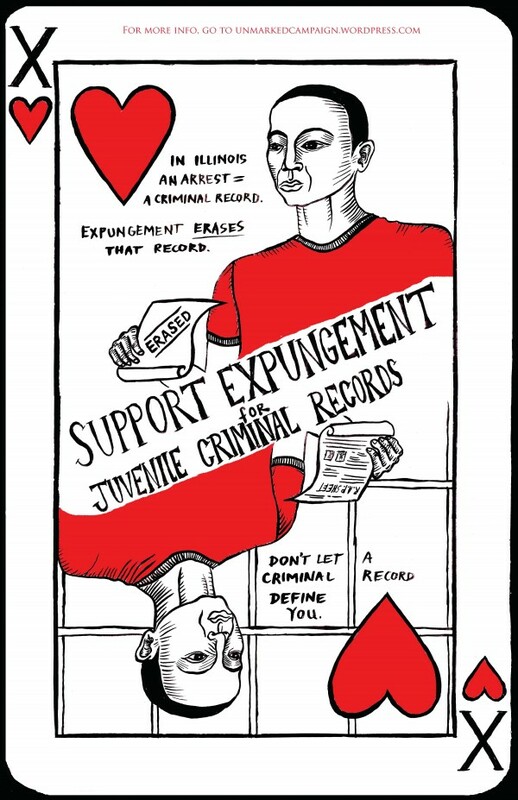 In 2010, several organizations in Illinois began working together to reform the process of juvenile expungement which is complicated, time-consuming, and costly. The Coalition for Juvenile Expungement Reform (led by Enlace Chicago, Project NIA, the Civitas Child Law Center at Loyola University, and later in 2012, UCCRO) worked together to craft legislation and to build a consensus in the General Assembly to change the juvenile expungement process. In 2011, the Coalition tried to pass HB2841 out of the Illinois House. The bill was defeated in the House Judiciary committee. In 2012, the Coalition tried to pass SB3636 and SB3637 (which became SB2777) out of the Senate. The bills almost cleared the Senate Judiciary committee but ultimately failed. In March 2014, Mayor Rahm Emanuel articulated his support of juvenile expungement of mere arrests. He announced his backing of SB978/HB4084, a bill that would automatically expunge mere arrests from the state police database when a young person turns 18. The following FACT SHEET (PDF) provides more details about the bill and answers some frequently asked questions. SB978/HB4084 is based on the bills that the Unmarked Campaign championed in 2012. SB978/HB4084 will break down the barriers to opportunity by requiring the state (not the local police department) to automatically clear juvenile arrest records if (1) the individual has turned 18, (2) the minor was arrested and no charges were filed with the court, and (3) at least 6 months have passed since the arrest and there have been no other arrests during that period. Having a single juvenile arrest can impact the ability for youth to obtain an education, scholarships, employment, and service opportunities later on in life. Though Illinois law allows the expungement of certain offenses, there are many logistical barriers that make it difficult to complete the process, particularly for those who lack resources to hire a trained advocate. Despite more than 21,000 youth arrests in 2013, only about 400 people were able to navigate the complicated process to have their juvenile records expunged. By automatically expunging juvenile records, SB978/HB4084 removes unnecessary barriers that stand in the way of success and productivity for young people. For those who are interested in supporting SB978/HB 4084, the bill will be heard in the House on Wednesday May 7th and you can file a witness slip in support of it. Sign the slip below as a PROPONENT of SB978/HB4084. This must be done BEFORE 9:00am on Wednesday May 7. If you can support the bill as an individual or organization, please do and spread the word. The Unmarked Campaign worked for several years to help move the cause of juvenile expungement of records forward in Illinois. SB978 is an important step in this effort and we hope that you will support the bill. You can also sign the following petition created by the city of Chicago to express your support of SB978.